The Type 97E Dual Motored Reset Control is used on legacy (1920-1999) dual motored clock systems. Model numbers from 97A, 97B, 97C, 97D & 97E are electrically compatible. 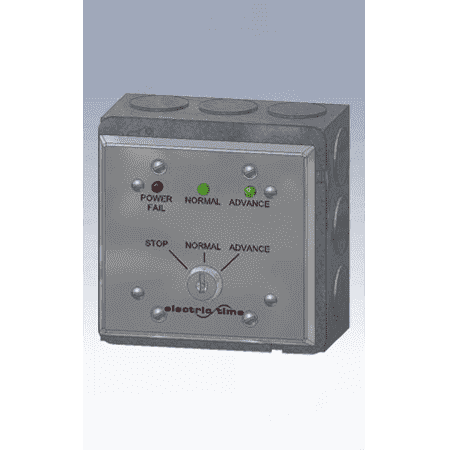 Use to control Electric Time Company, Inc. Dual Motored Clocks and Clock Movements. This control was also known as a 97-MDMR Manual Dual Motored Reset Control. It is also compatible with early Auth & Edwards dual motored clock system.